As part of your marketing or day to day working with clients you may wish to offer free downloads of files. 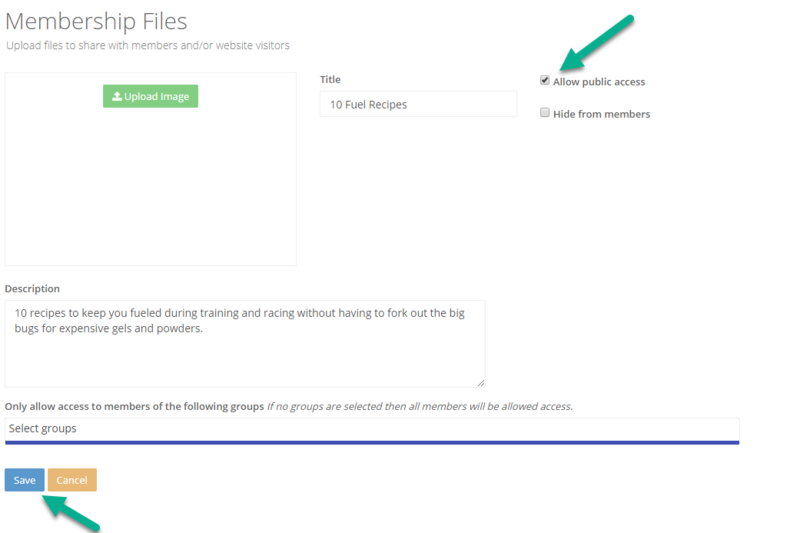 After the file uploads you should see it in the list and it will be set to "Members only" by default. To make it publicly downloadable click the edit button. Now check the "Allow Public" box and click save. Now the file will show as "Public Access". 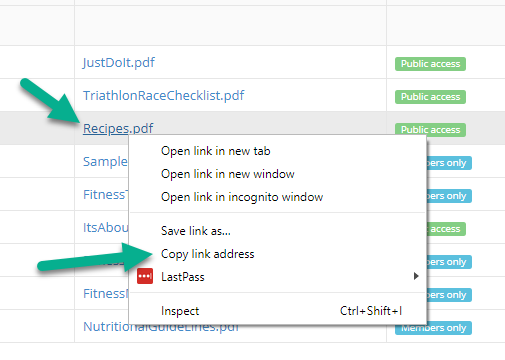 To copy the link to the file to share with clients or customers on your web pages or in emails etc, right click the file link and select copy. Depending on your computers operating system and your browser etc the screenshot may differ slightly. The screen shot is from a windows machine with a Chrome browser.